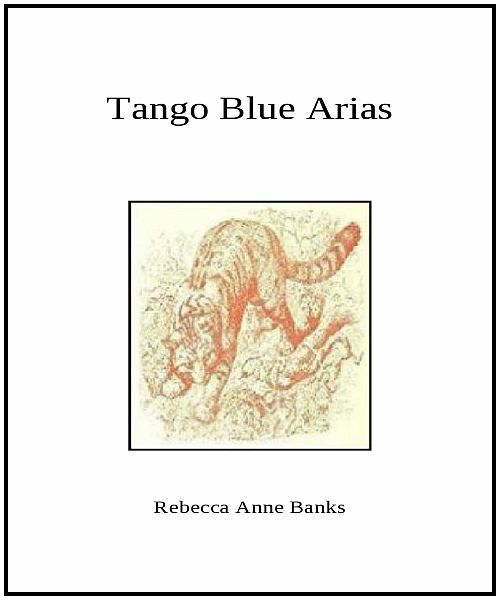 "Tango Blue Arias is a celebration in New Age poetry. The book of poetry is named after the Poet’s Rescue Cat, Tango, the cat had been abandoned since birth and has spent at least one hard winter in the streets of Montreal. The cat is unsocialized and almost feral, he is a big and beautiful orange Persian tabby, moves like lightening and remains aloof, in his travels someone named him Tango. The name just stuck, so the Poet embellishes and calls him Tango Blue Arias. This exciting book of poetry belongs in the tradition of much loved classic literature about cats; The Scholar and His Cat, Pangor Ban, written by a 9th century monk about his cat; Old Possum’s Book of Practical Cats, a humorous look at cats by T.S. Eliot; Listen to the Warm by Rod McKuen, as he writes about love and the cat Sloopy; Poem (as the cat), an enigmatic photo in time by William Carlos Williams; Pursuit and Face Lift by Sylvia Plath, in dark imagery; Black Cat by Rainer Maria Rilke, a poem in dark spaces, amongst others. Writing about the landscape, the people and events of the day, Tango puts in an appearance in nearly every poem. An exquisite take on Haiku, an historic Japanese tradition, each poem is placed in context with a nature-based traditional Haiku beginning creating a new poetic form. The experiential, pared in style, with Imagist and Symbolist influences, sometimes surreal, is an original bang in New Age synergies. The poetry is a springboard on the violence of postmodernist N.A. and an attempt at dance in the aftermath, a song in the great silence. The use of language is scintillating, stretching the bounds, with frequent new word constructs and original meme. In the background perhaps a fantastical yet frustrated love affair in blue." through the Summer clouds, sunshine day . . . "